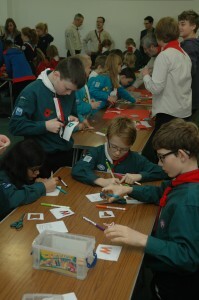 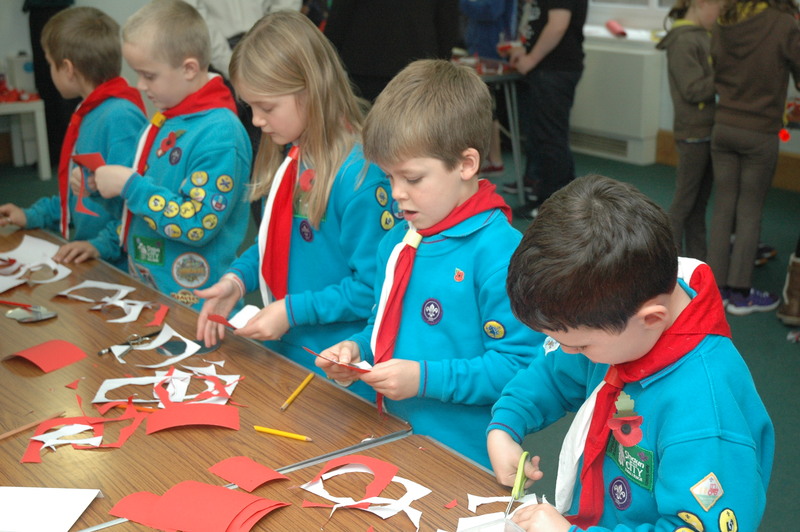 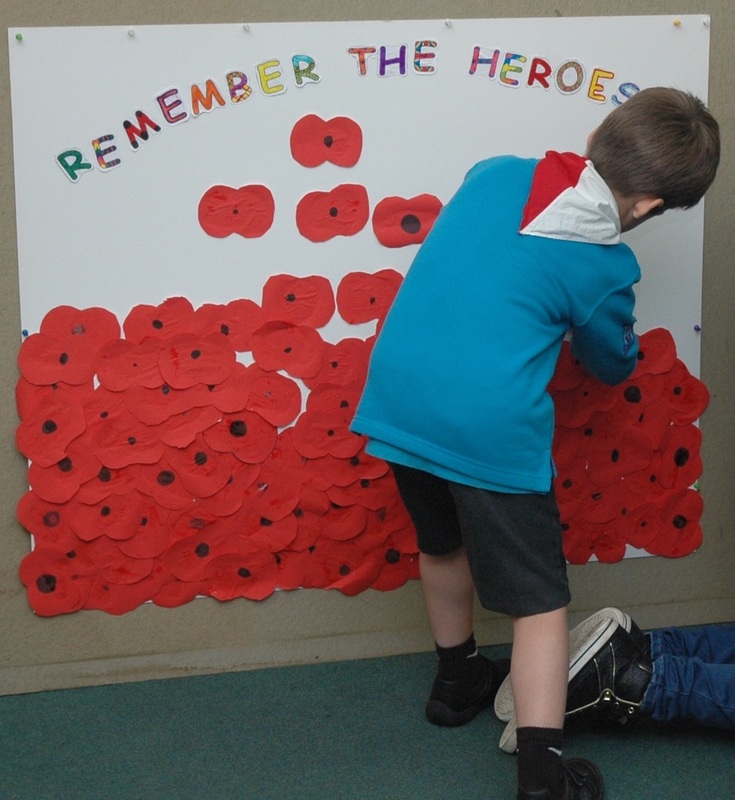 On 8th November all of our young people in Beavers, Cubs and Scouts, joined with our friends in the Guide movement and the congregation of Horfield Baptist Church in a Remembrance Sunday service. 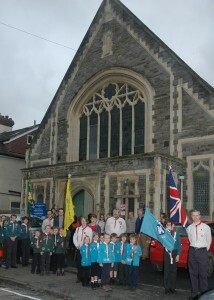 The weather stayed dry, allowing us to parade around the local streets with colours flying! 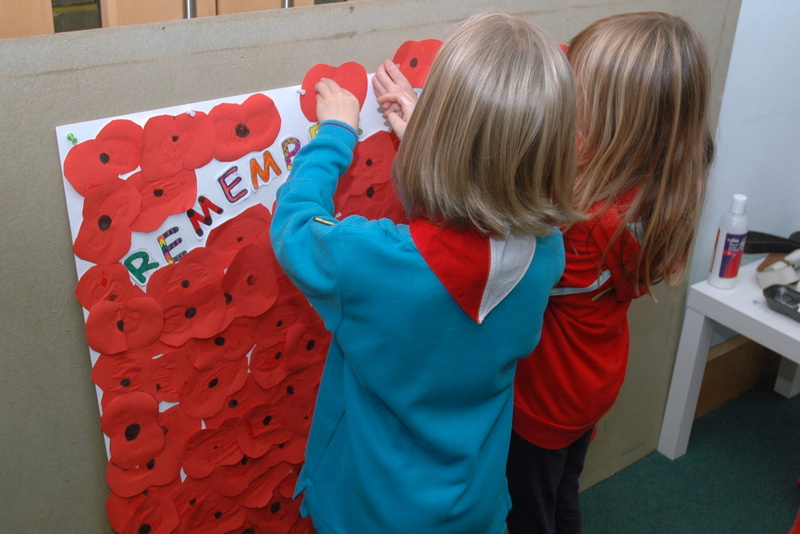 After observing the two minute silence, all the children went to make poppies and produced a magnificent ‘field of poppies’ display.